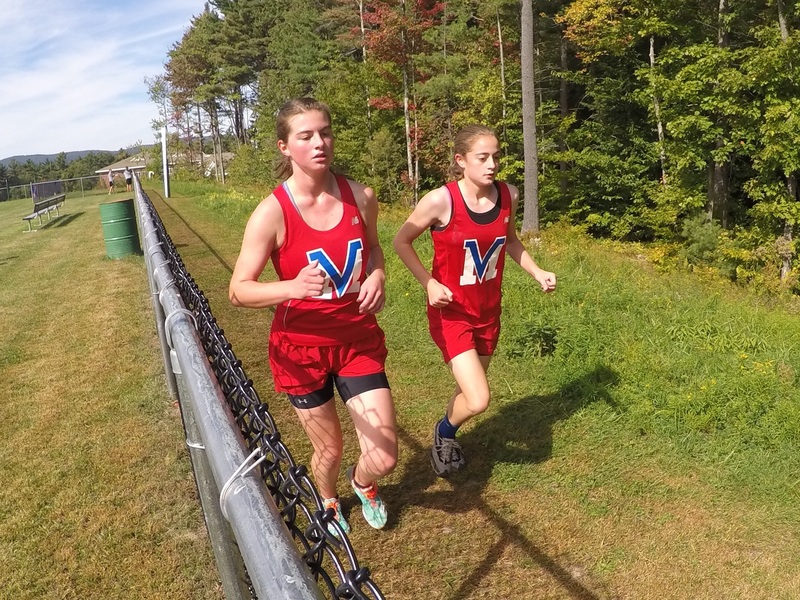 Home » Athletes » Robitaille Places 13th!!! 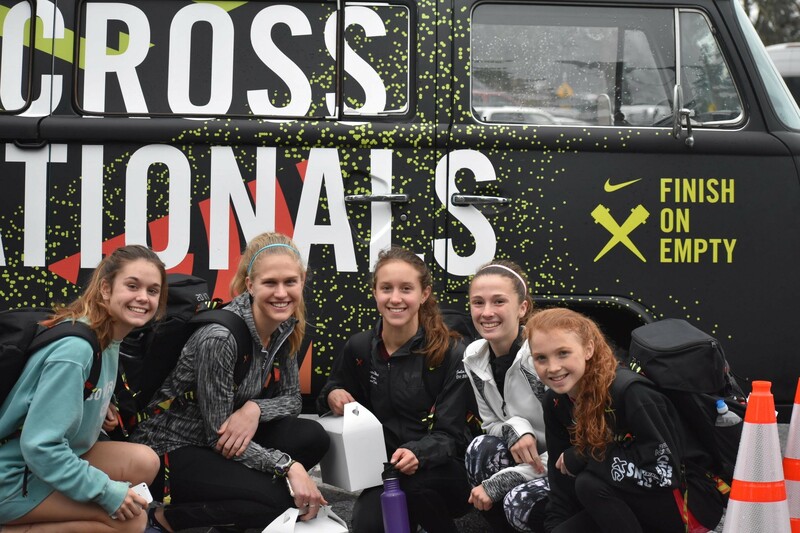 2017 NXN Diary and Webcast Replay – UPDATED!!!! Robitaille Places 13th!!! 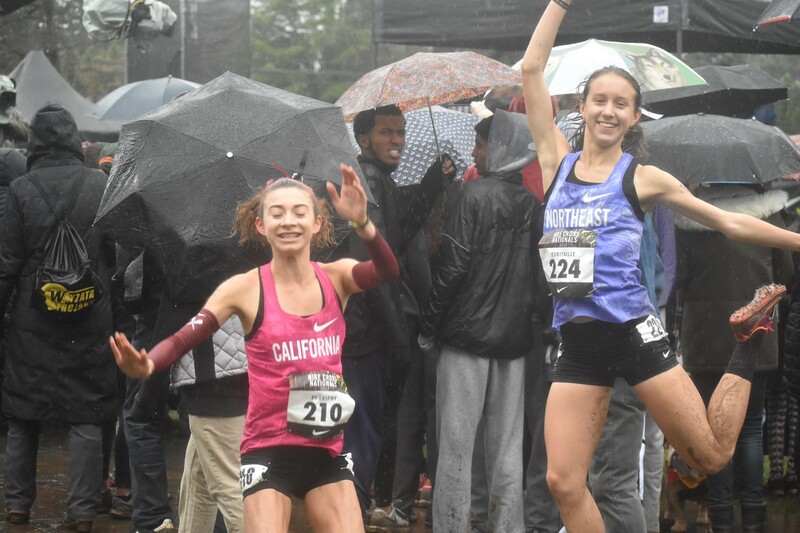 2017 NXN Diary and Webcast Replay – UPDATED!!!! 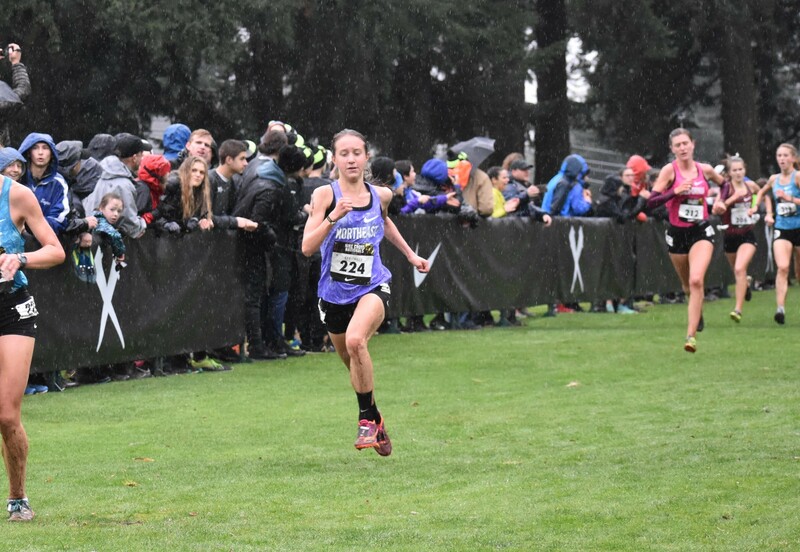 Congratulations and Manchester West’s Julia Robitaille as she placed 13th at the 2017 Nike Cross Nationals in Portland, Oregon! 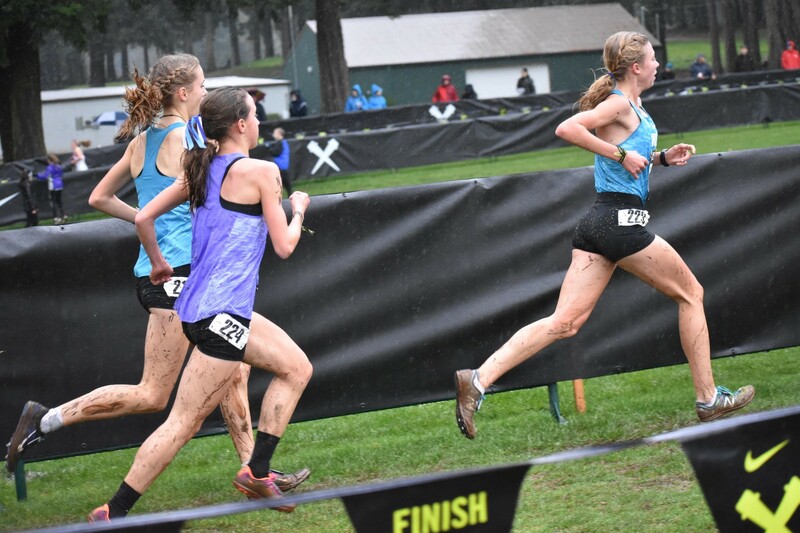 The links below include a replay of her race, as well as past NXN diaries. Julia has graciously agreed to provide a diary of her experience over the next several days! Please continue to check back to this post as we will be updating it regularly! Thanks Julia and congratulations!!! Julia on stage in a Q&A with Shalane Flanagan and other Regional Champs! Today is race day! I didn’t get much sleep due to the excitement, but I woke up feeling refreshed and rested. I was very nervous and scrambled around my room in the darkness of the early morning trying to get my gear organized. After eating breakfast in the hotel, we boarded the shuttle to go to the course. When we arrived, we went to the Athlete Village to relax until it was time to warmup. As anxious as I was, I was really tried to soak in the experience and enjoy it. I love the rain, so warming up was a blast. The boys race was an hour before ours, so warming up, I could feel the excitement. Wearing our Nike warmups, we were escorted outside to finish line to be introduced. We were accompanied by the officials and greeted by Colleen Quigley, Galen Rupp, Ben Blankenship, and Matt Centrowitz. The announcer introduced us and we ran through the finish line. On the way to the starting line, I accidentally slipped in a mud pile and completely wiped out! I guess it was good to get that out of the way BEFORE the race. Nevertheless, I was covered in mud and the race was about to start. I laced up and took off my warmups as quickly as possible. Standing on the line next to the best runners in the country was very intimidating and surreal. The race started out really fast, so I worked to get in good position in the first 400m. It was really muddy, which made the hills more challenging but also more fun. Before I knew it, I was crossing the line in the last race of my cross country season! It’s crazy how fast the season has gone by! After (attempting to) cleaning the mud from my clothes and shoes, we had lunch at the hotel. I met some runners from Wayzata, MN, who were really nice. 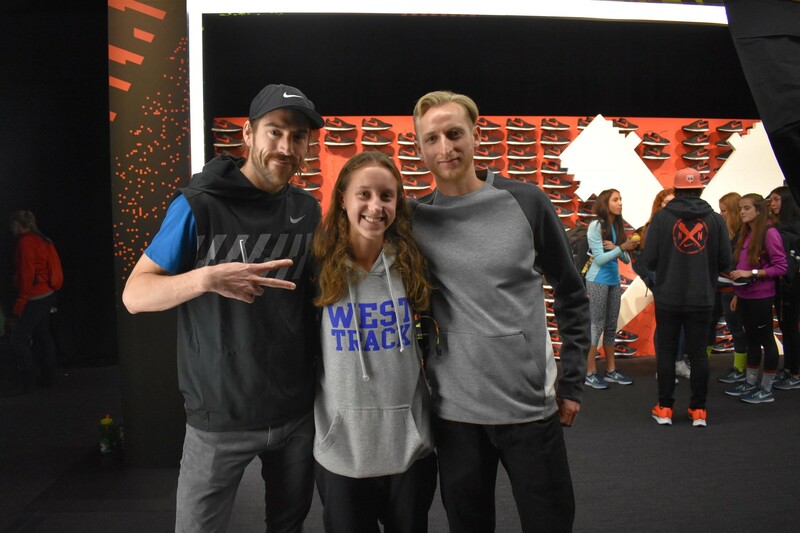 Later, we attended Closing Ceremonies for awards, which were handed out by Emily Infeld, Alexa Efraimson, Hassan Mead, and Matt Centrowitz. After a long day, I went back to my room to sleep so I could wake up early the next morning for my flight home. I am so thankful for the opportunity to race at Nationals. I wouldn’t have wanted to end my season anywhere else. It was unlike anything I had ever experienced or imagined. It was amazing to meet new people (and people I had only previously seen on MileSplit) and represent NH in one of the largest XC races in the country. Although I am sad to leave Portland, I am going back with valuable experiences and wonderful memories that I will never forget. I am thankful for all of the NH athletes and coaches and everyone who has supported me through this journey. This morning we woke up early to prepare for an exciting day of pre-race activities. 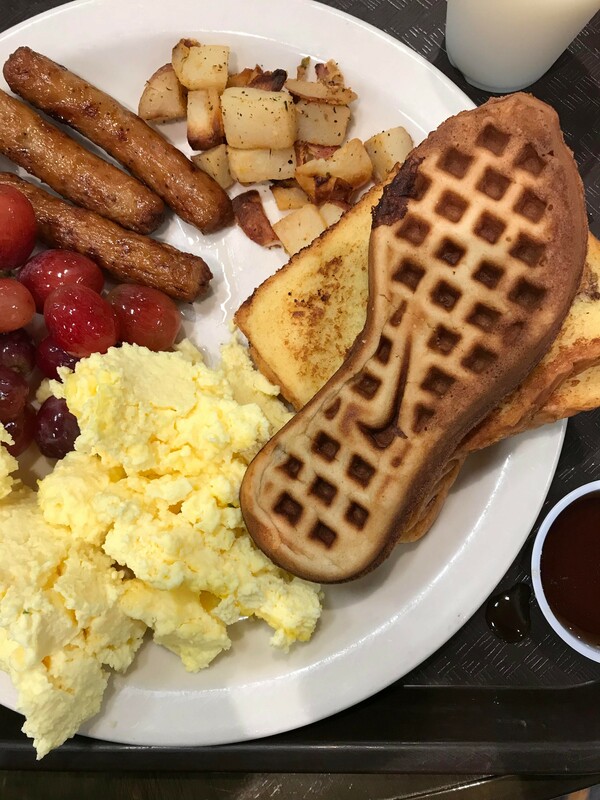 Breakfast at the hotel included waffles that were shaped like racing waffles! Then we all boarded the shuttle and went to the Glendoveer Golf Course for an information session, walkthrough, and run. When we arrived, we went into the Athlete Village to put our bags in our individualized lockers. We were able to use foam rollers, exercise balls, and massage chairs to stretch and people briefly spoke about the course. We were not allowed to run on the actual course because they wanted to preserve the surface, so I ran through along the course. The rainy weather softened the grass on the course, making it very muddy and slippery. After getting a better understanding of the course, we grabbed our boxed lunches and boarded the shuttle back to the hotel. Later, we all attended an Elite Athlete Q&A session where professional runners Hassan Mead, Colleen Quigley, Jordan Hasay, Galen Rupp, and Evan Jager gave us some advice for the race and made us laugh. After that, we headed over to the Mia Hamm Building for a pasta dinner. I got lost on the way there and had to ask for directions, so I asked the nearest person if they worked at Nike. 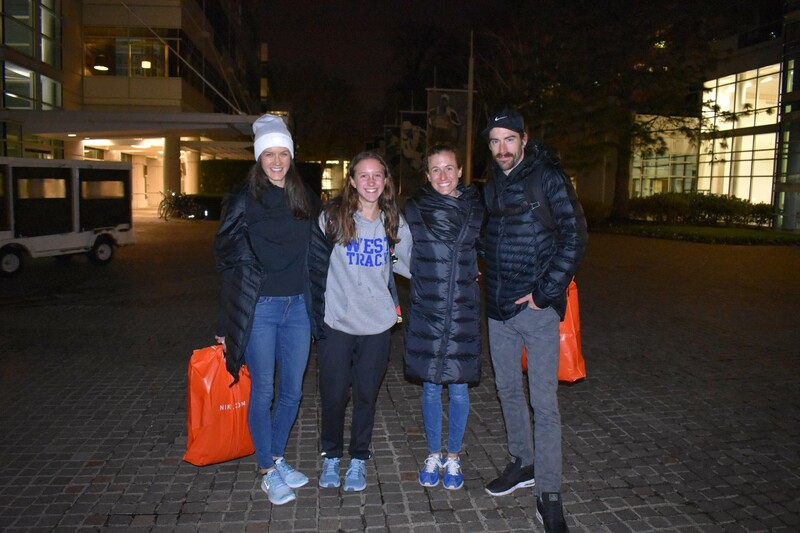 It turns out that it was professional runner Kate Grace walking with Ben Blankenship and Amy Cragg! We walked to the pasta dinner together. 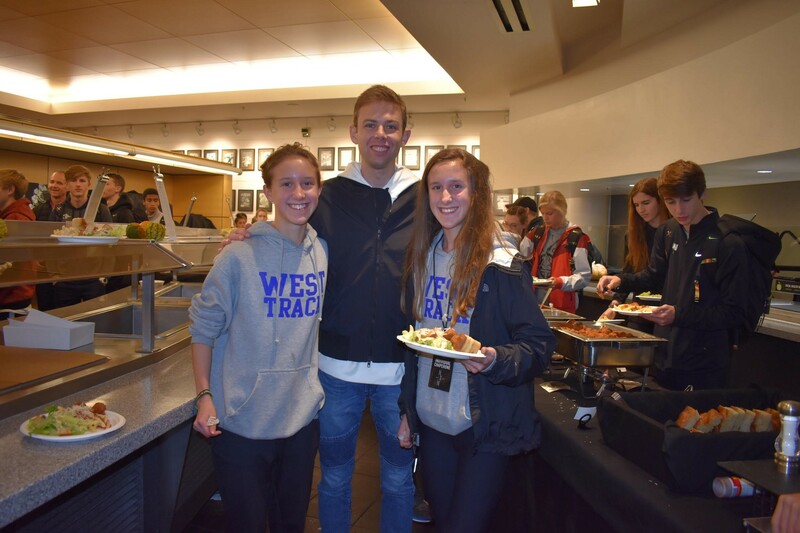 We had a nice meal with the other runners and Galen Rupp was in the pasta line behind me! After dinner, we returned to the hotel to rest. Today was my first day of NXN! After waking up early and taking our connecting flight to Seattle, we flew to Portland! We were met with rainy weather (as expected). I then left my coach, sister, and my mom to board the shuttle to the hotel with other Northeast competitors. Once at the hotel, I was able to meet my roommate, Lauren. Since she is from California, she thought the weather was cold! We then grabbed some lunch from the salad and sandwich bar and headed to Nike Headquarters in Beaverton. I entered the Tiger Woods Building to see the uniform displays for the race! Northeast is purple! We all went into the auditorium to receive our Nike gear. Everyone had a labeled locker with a backpack, a pair of leggings, a sweater, socks, shoes, and spikes, along with the uniform. We went to the Athlete Lounge for a little bit. Each runner was given a Nike shoe to write an inspiring quote on and all of them were displayed on the wall. The we went running through the Nike Campus. There were so many trails to choose from, each with different textures and terrains. I decided to run on a soft wood chip trail that wove through the campus and some woods. By 4:00, it was getting dark but the woods trails were lit with lanterns. On the way, I ran by the Michael Johnson track and suddenly saw Jordan Hasay running! Some other NE girls saw Colleen Quigley on their run! After running, I went back to the very high-tech and luxurious locker room to shower. We had dinner with the other athletes and chaperones at the beautiful Mia Hamm Building. It was fun getting to know the other girls from the Northeast region and meeting new people from across the country. We also took pictures with NYC Marathon winner and Olympian Shalane Flanagan! After dinner we went to the Opening Ceremonies, where they introduced all of the competing teams and individuals. I was able to meet Evan Jager, who gave us insight on his hair care routine. We went back to the hotel and I met my mom, sister, and coach to relax a little bit. After a long and exciting day, especially since we gained three hours because of the time difference, I went back to my hotel room to sleep. I needed to get some rest for another exciting day! 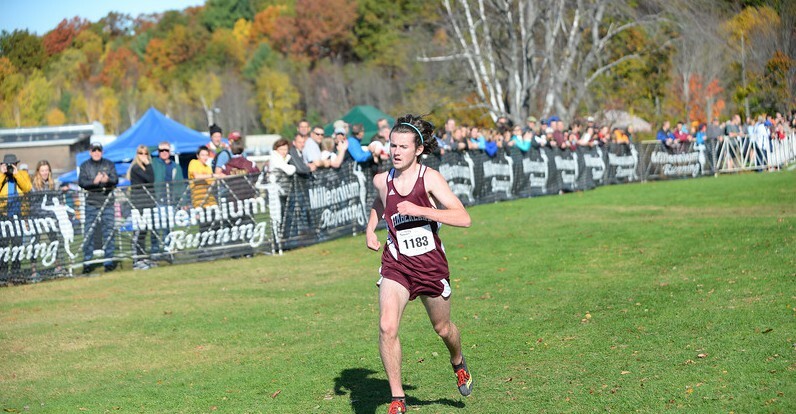 Timberlane’s Liam Kimball – WMUR Hometown Hero!! Gaughan and O’Brien (Team NH!!) @ Footlocker Nationals!!! Previous post 2017 All-State Banquet Wrap-up! Next post Gaughan Returns to Footlocker Nationals & PLACES 5TH!! !